Lock in a great price for Hotel & Villa Auersperg – rated 9.2 by recent guests! Great boutique hotel. The property is lovely and the breakfast very good. Nice room, great bar and facilities are good. Clean and nice touches like chocolate on pillowcase. Cleaning staff were excellent and front desk very responsive and helpful. We would recommend this place! It was clean, comfortable and beautiful. Staff was very helpful and provided us with guidance for where to eat and see. Breakfast was delicious. We had a terrific stay. The staff was very helpful and the accommodations were lovely. Nice blend of traditional and modern. Breakfast was outstanding. Would definitely return and will recommend to friends. Very friendly staff, very close to the old town. Excellent breakfast. The room was very well equipped, comfy beds, great selection of tea, coffee maker, lovely shower, a selection of books and DVDs. The ambience and decor were great, it had lots of Arty touches, good music, really helpful, pleasant staff, fantastic breakfast, lovely spa and even a great yoga class! Great location: one can walk to most sightseeing spots within 10-15 minutes. It's also just a 10-minute walk from the train station, so you likely won't need to bother with public transportation or taxis. The spa area is superb! Great for relaxing in the evening after a full day of sightseeing and walking. Exelent breakfest. Staff with good maners, professional attitude. Umbrellas free to use. Good wi-fi. We enjoyed everything about our stay! The rooms where spacious and comfortable, breakfast was wonderful and the staff (and bartenders in the restaurant) were really friendly and helpful. Hotel & Villa Auersperg This rating is a reflection of how the property compares to the industry standard when it comes to price, facilities and services available. It's based on a self-evaluation by the property. Use this rating to help choose your stay! Family-run for 3 generations, the small and elegant boutique Hotel & Villa Auersperg is located only a 15-minute walk from the historic center of Salzburg and features a charming garden terrace and a spa area with a roof terrace. 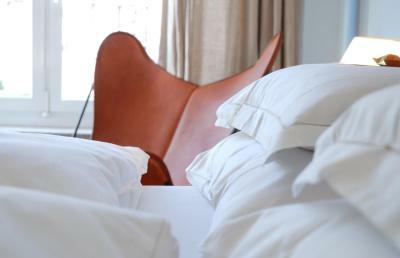 The individually designed nonsmoking rooms range from classic to modern style. 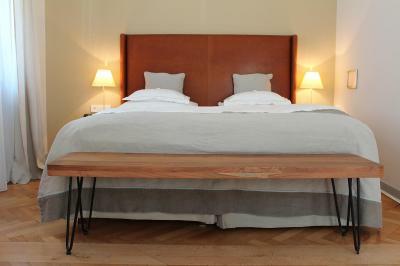 They are located in the hotel and the adjacent Villa Auersperg, a city villa from the mid-19th century. All rooms feature coffee and tea making facilities. City maps are provided for free and bicycles can be rented at surcharge. The breakfast buffet is served from 06:30 until 11:00 (at weekends and public holidays from 06:30 until 13:00) and offers a wide range of local, homemade and organic products. Vegan, lactose-fee and gluten-free dishes and products are available as well. In fair weather in summer, you can also have breakfast on the garden terrace. The bar and the café are open from 07:00 to midnight. 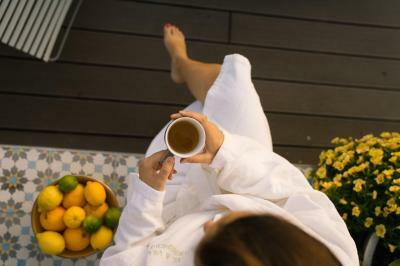 Yoga lessons are offered every Wednesday and Friday morning in the spa area, and relaxation massages are also provided. Both services are available at an additional cost. The reception, the breakfast room, the bar, and the City Spa (with sauna, steam bath, and a beautiful roof terrace) are located in the Hotel Auersperg. 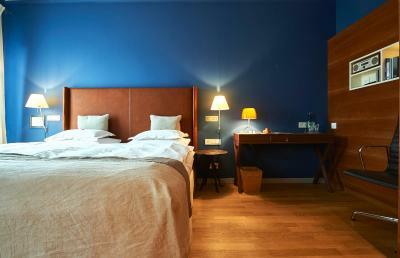 All hotel facilities can be used by the guests of Villa Auersperg. Many restaurants and shops can be reached in a few minutes’ walk through the Linzergasse pedestrian zone. The Festspielhaus is reachable by foot in only 20 minutes. When would you like to stay at Hotel & Villa Auersperg? These rooms are located in the hotel building and come with a pull-out sofa bed, a flat-screen TV, a Tivoli music system, a mini-bar and coffee and tea making facilities. In addition, they feature a bathroom with a hairdryer. Public parking is available on site (reservation is not needed) and costs EUR 14 per day. These rooms are located in the hotel building. They come with a flat-screen TV, a Tivoli music system and a mini-bar. In addition, they feature coffee and tea making facilities and a bathroom with a hairdryer. Some units feature a pull-out sofa bed. These rooms are located in the hotel building and come with a flat-screen TV, a DVD player, a Tivoli music system, a mini-bar and coffee and tea making facilities. In addition, they feature a bathroom with a hairdryer. There is no capacity for extra beds or baby cots in this room. These 148 ft² suites are only located in the hotel building. They come with a separate living room, a flat-screen TV, a Tivoli music system, a mini-bar and coffee and tea making facilities. In addition, they feature a bathroom with a hairdryer. These rooms are located in the villa and come with a flat-screen TV, a DVD player, a Tivoli music system, a mini-bar and coffee and tea making facilities. In addition, they feature a bathroom with a hairdryer. Please note that extra beds and baby cots are not available in this room category. These rooms are located in the hotel building and face the garden. They come with a flat-screen TV, a DVD player, a Tivoli music system, a mini-bar, coffee and tea making facilities and a bathroom with a hairdryer. These rooms are located in the Villa and come with a pull-out sofa bed, a flat-screen TV, a Tivoli music system and tea and coffee making facilities. In addition, they feature a mini-bar and a bathroom with a hairdryer. These rooms are located in the hotel building and face the garden. They come with a flat-screen TV, a DVD player, a Tivoli music system and coffee and tea making facilities. In addition, they feature a mini-bar and a bathroom with a hairdryer. These rooms are located in the hotel building and face the garden. They come with a flat-screen TV, a Tivoli music system, coffee and tea making facilities and a bathroom with a hairdryer. Some feature a pull-out sofa bed. These rooms are located in the villa and they come with a pull-out sofa bed, a flat-screen TV, tea and coffee making facilities and a mini-bar. In addition, they feature a Tivoli music system, a DVD player and a bathroom with a hairdryer. 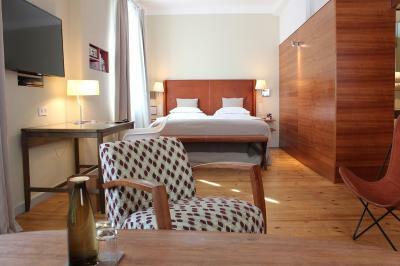 These rooms are located in the hotel Auersperg and come with a flat-screen TV, a Tivoli music system, a mini-bar, coffee and tea making facilities and a bathroom with a hairdryer. This double room has a DVD player, mini-bar and air conditioning. This double room features a mini-bar, CD player and DVD player. House Rules Hotel & Villa Auersperg takes special requests – add in the next step! Hotel &amp; Villa Auersperg accepts these cards and reserves the right to temporarily hold an amount prior to arrival. Hotel & Villa Auersperg accepts these cards and reserves the right to temporarily hold an amount prior to arrival. The breakfast buffet is served from 06:30 until 11:00 on weekdays. On weekends and public holidays, breakfast is available from 06:30 until 11:30, on request until 13:00. While we loved this hotel in our room we could hear the water running and toilets flushing constantly from other rooms...it was loud and very annoying. We didn’t say anything about this so I’m sure the staff would have rectified if we had. The room was very hot and stated the the default temp was 24 degrees C. The gauge in the room was fixed at 26 deg C. Despite leaving the air-conditioning on at 19 deg, the room was too hot and we woke in the mornings feeling dehydrated and with headaches. The mattress gave us backache - I’m sure for some the mattress would have been fine. The battery for the electronic safe was low (according to the display) and so we didn’t feel confident in using it. These are all minor points and we enjoyed the experience overall. Shower drain clogged causing flooding into the room. Hotel at this level should regularly maintain something this simple. amazing breakfast, lots of options and top quality! good location, staff was lovely. we liked the small details like the sound system and the cds recommended, the books, the chocolate on the pillow etc. Breakfast lacked fresh fruit. While clean, the rooms were small and somewhat uncomfortable. Came when temperatures were in the single digits and it was snowing outside. Very poor service and very cold room with no heating. Only given a short summer blanket that was so short it didn't cover the feet. When we asked for a warmer blanket as there really was minimal if not no heating during the night, the staff on duty was also very rude and told us to carry the heavy blankets back to our room ourselves (our room was in another building). Staff was so nice and gave us many useful tips for visiting the city. Room and facilities were very clean. The breakfast buffet was just absolutely incredible, I haven't expected it to be so good. So many healthy, natural and fresh options of high quality. Awesome bread selection! We also had dinner - nice small menu with daily specials and great selection of wines. 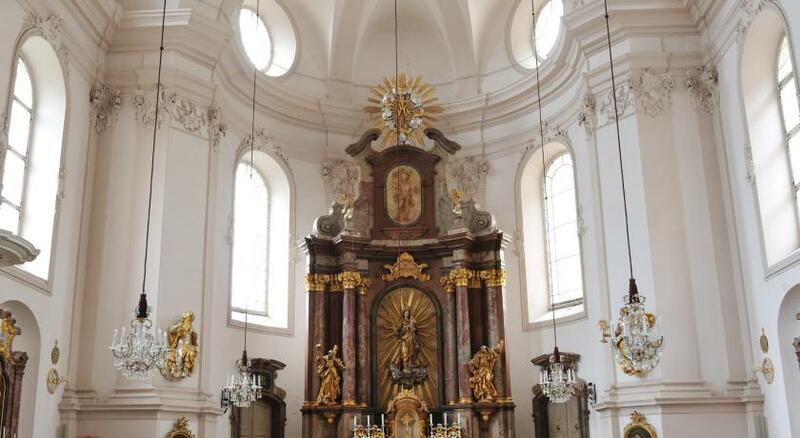 Will definitely stay again and only there when visiting Salzburg. 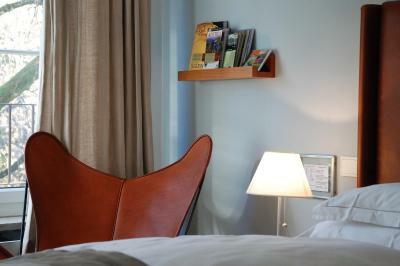 Comfortable and stylish rooms, nice amenities. The spa/sauna was really lovely. Good breakfast, and the welcome sparkling wine was a lovely touch! A great and relaxing base for exploring Salzburg. Some sour receptionist. I am sure, however, it was an accident. Decoration, quality of things from the room, starting with bad lining and finishing with tea/coffee facilities. Good breakfast, nice decoration in common areas.